Storm chaser and future meteorologist Jay Dupree joined Todd Warren in the Forecast Center this evening. Jay is a fourth grader at St. Mark's Cathedral School and tells us about a warming trend on the way just in time for the weekend. Click to see his forecast. Fourth grader Annaleigh Turner from St. Mark's Cathedral school joined Todd Warren in the Forecast Center. Annaleigh tells us about some colder temperatures on the way but that we should get our hopes up about getting any snow. Click to see her forecast. In a Kidcast Weather first, Todd Warren welcomed twins to the Forecast Center. 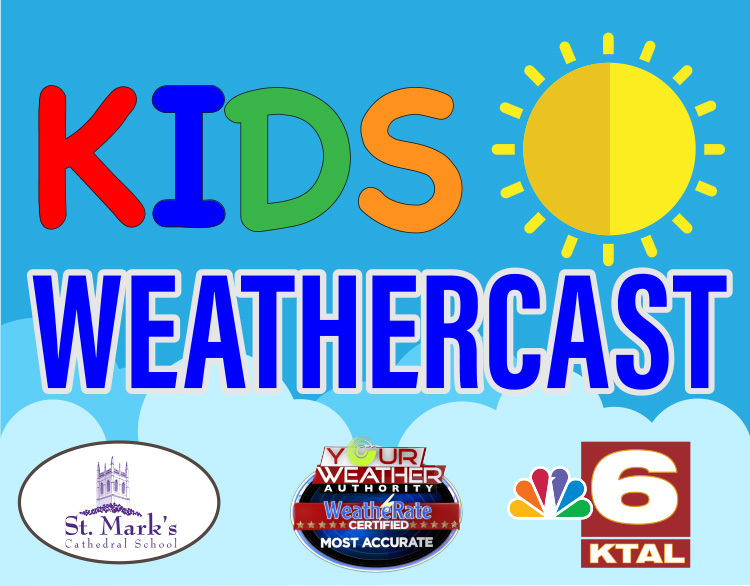 St. Mark's Cathedral School fourth graders Ollie and Max Storer joined forces to tell us about some big changes on the way in Arklatex weather. Click to see their forecast. Kathryn Elberson a fourth grader from St. Mark's Cathedral School joins Todd Warren in the Forecast Center. Kathryn tells us about a cooler week ahead with some rain on the way. Click to see her forecast. © 1998 - 2019 ArkLaTexHomepage.com | Nexstar Broadcasting, Inc. | All Rights Reserved.